I’ve been saying to myself for years that these really should be must-have features for any apparel product detail pages. 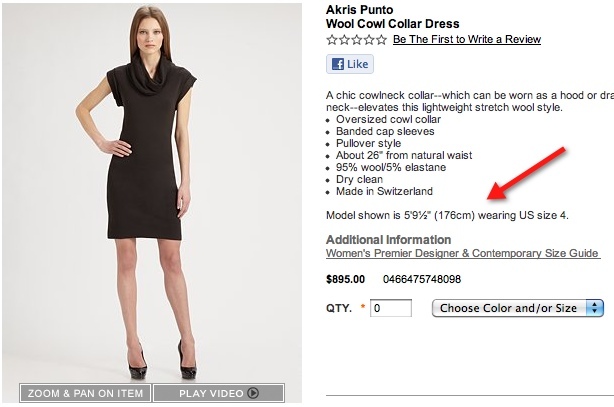 Just having a picture of the product doesn’t cut it anymore, especially if your competitors are doing it. This is also an excellent opportunity for clothing manufactures. Creating a video for every product would be cost prohibitive for some smaller online retailers who could use the assets created by the manufacturer. 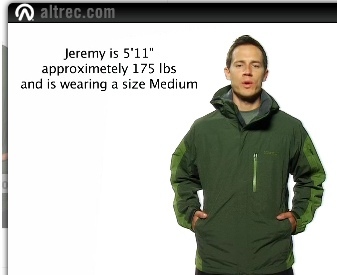 Are you aware of other examples of providing model height & weight and product size pictured?